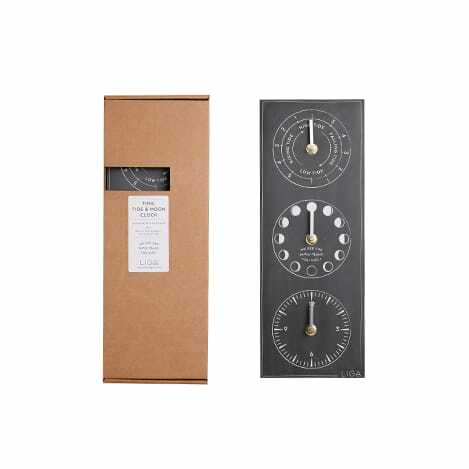 Moon tide time clock. A unique combination of moon phase, tide times and time all in one clock. Designed to be completely weatherproof, which makes it ideal to measure the temperature in the garden on those hot summer days, or freezing ones.